Barbizon Midwest Review: Barbizon Midwest's Katrina Strikes Again! 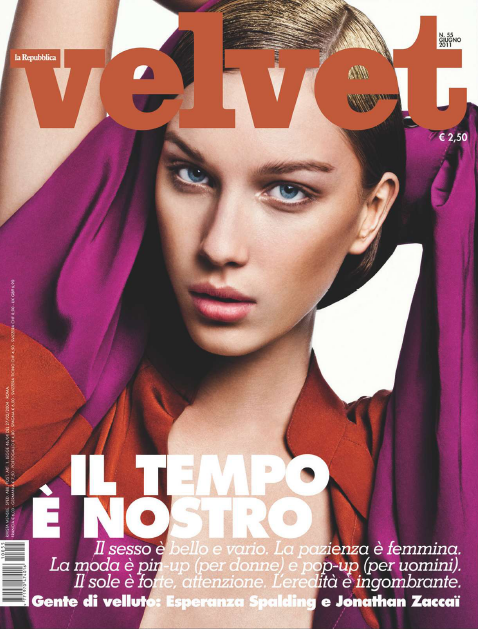 Barbizon Midwest talent Katrina Hoernig graces the cover of the June 2011 issue of Italy's new fashion magazine, VELVET. Katrina is looking forward to her high school graduation, modeling in Paris this summer for couture shows and walking the runway for fashion week in New York! Katrina's mom commented - "We will never forget where it all started. She is off and running and still using the training she got at Barbizon!"